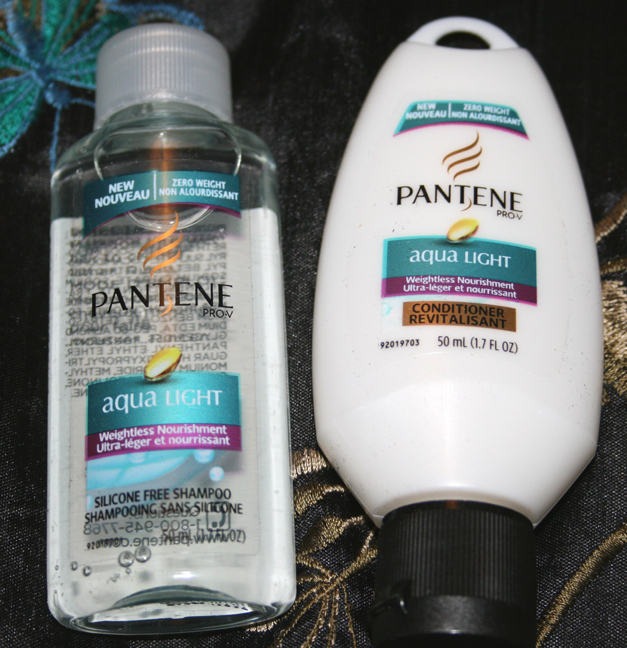 In April's Luxebox we received Pantene Aqua Light Shampoo and Conditioner, not a very exciting sample in and of itself. However, this product is a silicone free shampoo, so I was excited to try it. I had previously tried the higher end version by Free Your Mane and was happy enough with it to purchase the costly shampoo and conditioner. I considered that this may be a more inexpensive alternative. It was an epic fail. I knew from the first time I tried it, I should have just stopped. First of all, it just smelled like dish soap. It doesn't lather, just as other sulfate free shampoos, but the difference is it was really hard to work through your hair. I bubbled, but it didn't lather. It was just really strange. The conditioner wasn't really much better...it felt like I was pulling through my hair. You didn't have that smooth, I've just conditioned my hair feeling. What was the result? Dry, dull, thirsty looking hair. On top of it...I got flakes!!! NO!!! Itchy flakes! Yet, I kept using it for the sake of getting a good grasp on the product. To the last drop. I'd have to say it was the worst Pantene product I've ever used. I would never ever buy it! Have you tried it? What was your experience? Have a good night beauties! I tried it.. no excitement at all for me... really left my ends pretty dry! I tried it too - just meh. I went back to my head and shoulders; it always conditions so well! Yes, Head and Shoulders is actually a quite understated brand! nice post.Have you ever tried dove conditioner and shampoos.they are really really good.make hair super soft. I've never tried this, and now, I'm pretty glad I haven't! Thanks so much for this review. No problems, that's what reviews are for, right? !